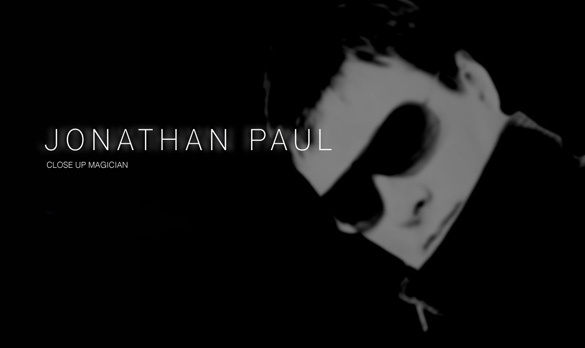 Jonathan Paul is close-up magician that creates a buzz at any event with his mind blowing close-up magic he has the audience gasping for more. Heavily in demand through the UK give Jonathan a call to discuss your requirements on 01535 275637 or 07972 167264. 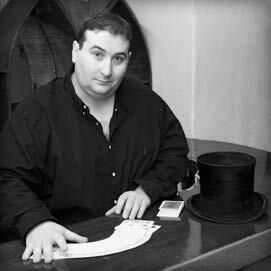 Craig Stephenson is a highly experienced York based magician, working across Yorkshire and the North East. He specialises in magic for grown-ups and his style of magic is natural, close-up, in bars and restaurants, performing card and mind control illusions to make for a truly memorable night out or special occasion. Craig improvises. There's no set repertoire of tricks, no separate "show" and "audience". No barriers. Everyone can get close-up, and even challenge Craig with their personal cards, coins or everyday objects and feel part of the act. They'll be even more dazzled and convinced by being so directly involved. Craig doesn't rely on gimmicks or stooges, but does create a truly interactive, fun and non-cheesy experience that will baffle and amuse his audience. Craig is very well versed in psychological techniques and mind control illusions used by modern performers such as Derren Brown, Luke Jermey, Andy Nyman and other leading mentalists and this brings an extra dimension to his magical performance. Using highly impressive mind reading and influencing skills, Craig can stun even the most cynical members of the party, and will leave his audience believing anything is possible. So you have a special event - A wedding, picnic, party or corporate retreat. You have shelled out money for food, seating, and maybe a little for booze. But that leaves one thing. What to do about entertainment? Your friend has an in with a DJ, but music can make venues so impersonal and loud, distracting from conversation and the purpose for the event. Moreover, all of these ideas are played out, nothing breaks the mold. No one would leave your event saying they experienced something new and memorable...something fantastic. Let your guests rediscover wonder with the aid of Atlas Brookings, mind reader and psychic entertainer. 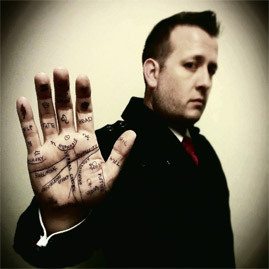 His unique style of mind reading mixes psychology and body language inference with his quick and ready wit and will entertain your guests as he does the impossible: reaching into your guests' minds to reveal their thoughts. The possibilities are endless: he can entertain people at tables as they dine at a luncheon, mingle with guests at private parties or trade shows, perform after dinner parlor or stage-shows, or provide training to help staff better relate to clients or potential customers through interpretation and careful use of reflective body-language signals. He will have your guests smiling one minute, laughing hysterically the next, and in disbelief throughout. They will love his performance and enjoy every moment. And, MOST importantly, your event will be remembered. For more information, visit his website at www.atlasmentalism.com. Audiences gasp in amazement as their thoughts are predicted, cutlery bends in their hands and passions are revealed within the lines of their palm! Harrison Richards blends ancient, esoteric wisdom with cutting edge mind reading techniques to create unique and compelling entertainment. If you want your next party or event to stand out from the crowd and be remembered for many years to come, Harrison Richards is your perfect choice. Imagine a coin bending in your hand or just thinking of a name and having that thought revealed. How about sending a thought to a friend and having THEM reveal it! Harrison will tailor his performance to meet your exact needs and requirements. He can perform his full stage show, entertain your guests up close with incredible mind games or give them fascinating insights into their character, talents and career with an uplifting palm reading. Close up magician Oliver Parker performs spectacular magic with playing cards, coins, rings, balls etc. with interaction and participation of his audience. His light hearted close up magic is perfect for your wedding, corporate dinner, business away day, Christmas party, charity ball, end of school or college prom and university formal. Sticky the Magician is based in Horsforth, Leeds in the UK and is available to perform in Leeds and surrounding areas of the North of England such as Bradford, Wakefield, Halifax, Huddersfield, York and other cities in North, East, South and West Yorkshire. I have been performing magic for two years but studying magic for as long as I can remember. I perform either walkround/strolling or intimate parlour type close up sleight of hand magic, using playing cards, coins, rope etc and the famous cups and balls trick.. I have performed for a charity at RAF Linton on Ouse's Open Day. Liam has performed on stage and on the streets in the UK and U.S.A and has been performing for 4 years. His unique style of entertainment and trickery is suitable for a children's show, family entertainment and even adult cabaret. Professional children's party magic, comedy entertainment and close-up magic event entertainment by Ratty Roberts. Be it a children's magic party show with some unique puppets and balloon modelling or face-painting, Punch & Judy or even amazing close-up magic and illusions for your social or corporate event. Ratty Roberts professional magic and comedy entertainment always guarantees to make an occasion special. I am a third generation magician, a versatile and experienced performer and classed as one of the worlds leading balloon figure artists. I am an international instructor teaching at balloon conventions around the world. I was born in Edinburgh and brought up in the world of magic tricks. I have won a number of prestigious awards, including the Scottish Shield for magic. I have an Italian restaurant in Grange Moor where I perform table magic and children's magic for customers. I do magic shows for charity and am also a member of Huddersfield circle of magicians. Many years of experience and the benefit of hundred's of performances will be brought to your event - tailored Magic to suit your needs. Magic will add sparkle, create an amazing atmosphere, lift you out of the everyday experience and leave you and your guests feeling great. If you're the organiser of this event, just for one moment imagine how good you're going to feel when you see your guests marvel as they experience the Magic Maestro Tony O'Neill performing live at your event. And here's an excerpt from the internationally well respected Magic Week Magazine. "The Leeds Talent delivers dazzling close-up magic with his customary style and panache." So call now for a helpful discussion of Magical entertainment at your next event. See website for contact details.